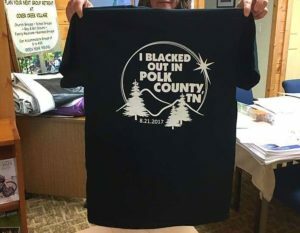 Uncategorized > “I Blacked Out in Polk County, TN” Eclipse T-shirts are available! 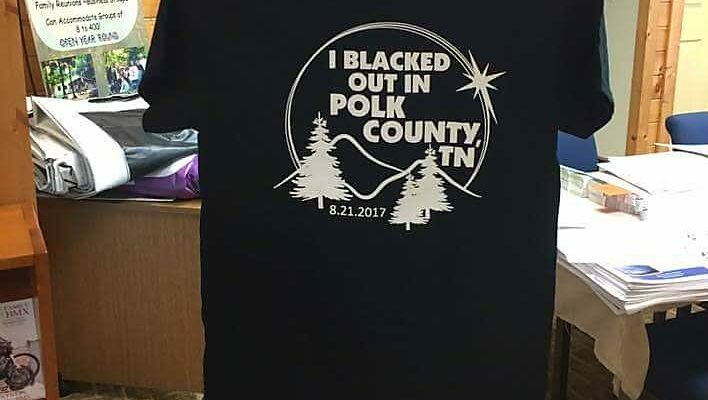 “I Blacked Out in Polk County, TN” Eclipse T-shirts are available! Did you join us in Ocoee Country for the Total Solar Eclipse? Order your “I Blacked Out in Polk County, TN” T-shirt here! $20. Children’s sizes also available.